Dannenfelser Piano Service is a full-service piano resource for the greater Sacramento area. 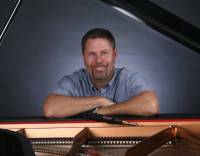 Dan is a Registered Piano Technician member of the Piano Technicians Guild, and has served as President of the Sacramento Valley Chapter of the Guild. Factory trained at Steinway & Sons in New York, Dan specializes in concert-level tuning, regulation, voicing, concert preparation, and action rebuilding of fine grand pianos. A native of Sacramento, Dan received his Bachelor's Degree from CSU San Jose, in 1978. After spending a year at the prestigious Berklee College of Music, in Boston, Massachusetts, studying jazz piano, Dan embarked on a career in piano technology. His list of concert clients includes James Taylor, Bette Midler, The Eagles, Tony Bennett, John Legend, Alicia Keyes, Josh Groban, Harry Connick, Jr., and many others. Currently under Dan's care are the pianos at Three Stages Theater at Folsom Lake College, The Mondavi Center for the Performing Arts at UC Davis, Music in the Mountains in Grass Valley, California, and the instruments at many local schools, and the studios of many local piano teachers and musicians. Dan's work can be heard on the recordings of local jazz great and Steinway Artist Jim Martinez. www.jimmartinez.com. Dan and his wife Terri live in Folsom, California, and enjoy cycling, wine-tasting, and exploring California.